It also works (kinda) for inbuilt types too, like strings and numerics. 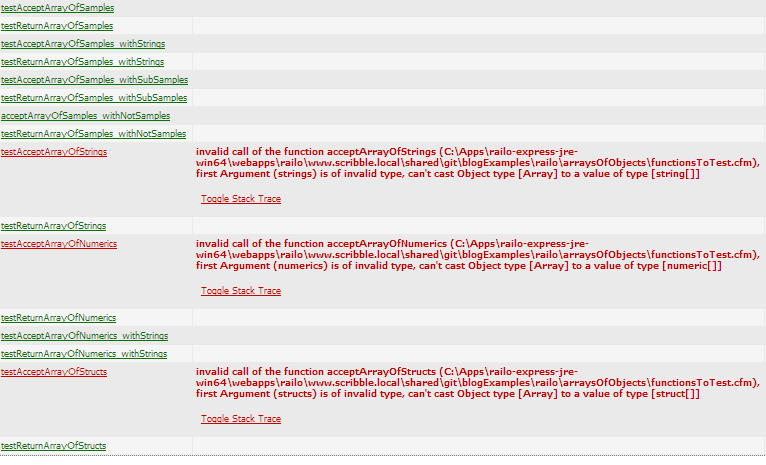 These functions either accept an array of various types (Samples, strings, numerics, structs), or return same. Oddly, it's only when passing 'em in that there's a problem: it sees the arrays as the correct types when returning them. As Rory observes in his comment below: this has all been fixed in Lucee. Nice one. This is a handy feature, but it's incomplete. I've gotta go do some work now, but I'll check if there's a bug report for this, and raise one if not. And I will cross-reference back here either way. 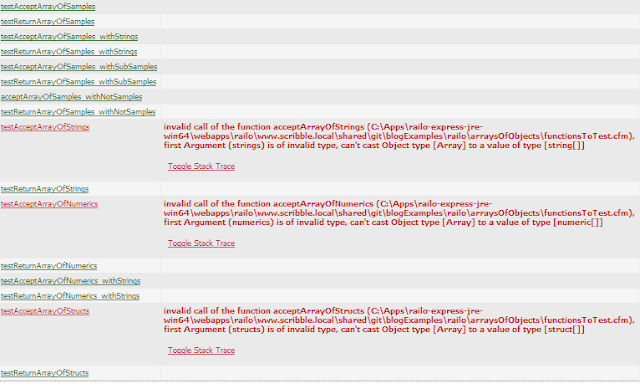 I'll also check to see if there's a ticket to implement this in ColdFusion, and raise / cross-reference accordingly.